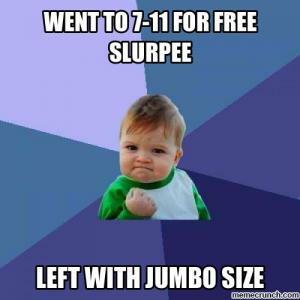 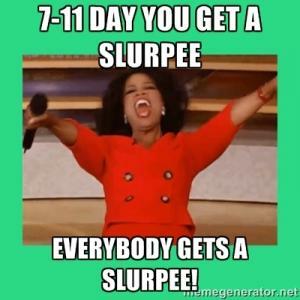 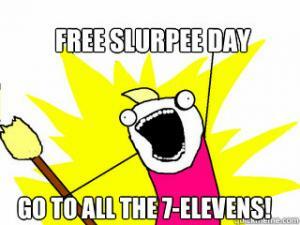 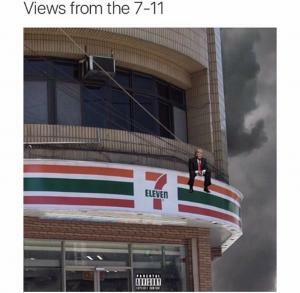 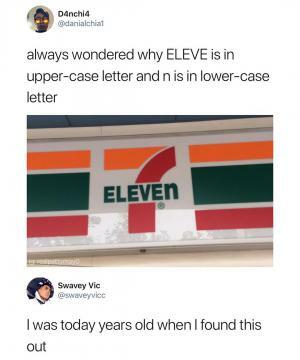 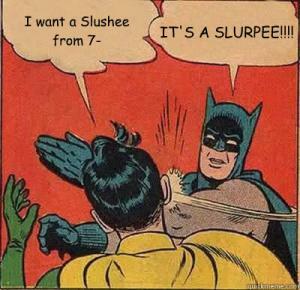 7 11 is an international chain of convenience stores known mostly for their slurpees. 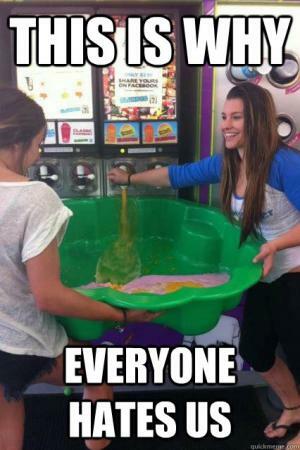 The 7 11 jokes in this section use images of people using things like swimming pools, kfc chicken buckets and the biggest cups available and filling them up at the slurpee machine. 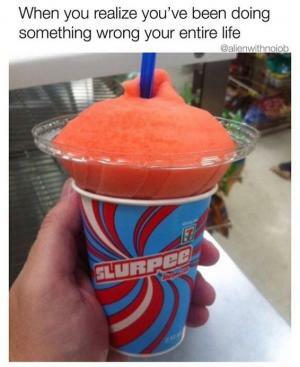 You will also find jokes about things like someone cutting in front of you in line for free slurpee day and the person taking the last free slurpee cup. 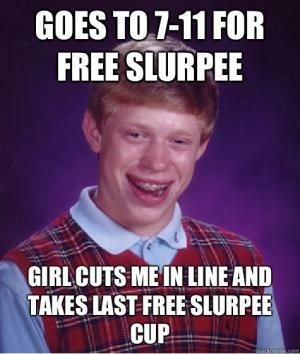 Jokes like these and more like the type of people you may see in 7 11 at odd times of night can be found on this page. 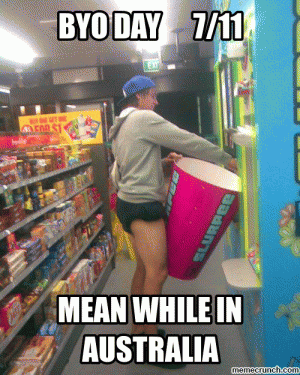 While you are here checking out the jokes on this page please take a moment to rate them with a thumb up or thumbs down and share via social media with your friends and family. 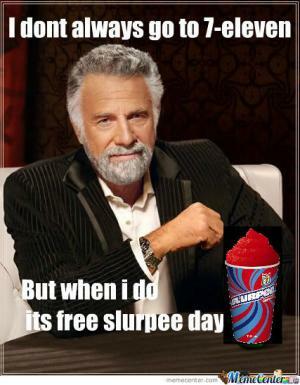 We encourage you to take it a step further and add your own kappits! 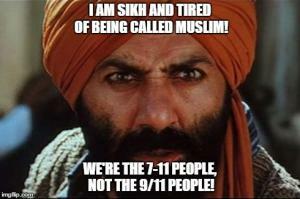 I am Sikh and tired of being called Muslim! 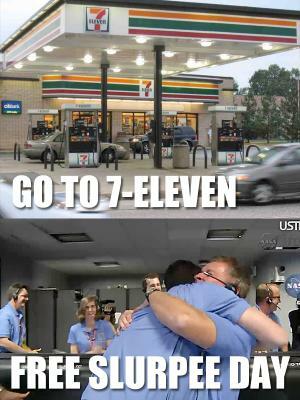 We're the 7-11 people, not the 9/11 people!